The socialist Allende government of Chile fell to a U.S.-backed military coup d'état on September 11th, 1973. 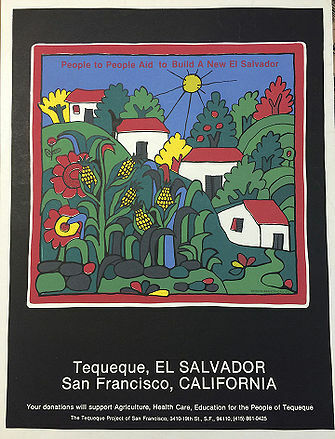 As leftists were targeted and disappeared, many exiles settled in the Bay Area and created a culturally vibrant and politically resolute solidarity movement with the Chilean Left. La Peña, a South Berkeley space where Chileans came together and where the movement thrived, remains a cultural and political center for resistance struggles around the world. 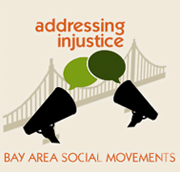 Bay Area solidarity with the Chilean Left preceded the anti-Pinochet Dictatorship movement. As early as 1972, Non-Intervention in Chile (NICH) demonstrated North American support for the democratically elected socialist, Salvador Allende. Supporters felt immense pride in the Allende government as a democratic victory of the Left in a global political climate in which the Right was gaining traction and crushing the idealistic visions of the 1960s. In 1973, the Bay Area’s connection to Chile changed from celebration of a revered Leftist government to a fierce struggle against a militant oppressor. A military coup on September 11, 1973 forcibly installed Augusto Pinochet as dictator of Chile. Backed by the U.S. government, the regime change established a military government in Chile. Almost immediately, the military Junta carried out the detainment, torture, exile, and extrajudicial killings of Chilean leftists, artists, and intellectuals who were identified as political insurgents. In the words of Sola Sierra, former president of the Association of the Families Detained-Disappeared, “It wasn’t war, it was extermination.”(1) After the coup, the first wave of Chilean political exiles sought refuge in the Bay Area. They created and engaged with existent political organizations to support their livelihoods, protest the military dictatorship, and support the resistance movement within Chile. Affiliation in this movement carried heavy implications inside Chile — identifying as a leftist (MIR, Unidad Popular, or otherwise) put one’s life in serious danger. Given the U.S. government’s installation of the military and the widespread fear of the Dictatorship, political affiliations carried heavy weight in the Bay Area as well. Party affiliations of the movement remain contentious today. Notwithstanding the tension between factions in the Bay Area’s Chilean Left, maintaining separate groups did not overtake the common struggle. The politics and livelihoods of Chileans were under violent attack by the Pinochet Dictatorship, which was of utmost importance to both Miristas and Unidad Popular supporters. A celebration of Chilean culture in the Mission to commemorate the Allende government and Pablo Neruda’s poetry took place on October 4, 1973 — just a month after the Pinochet coup. 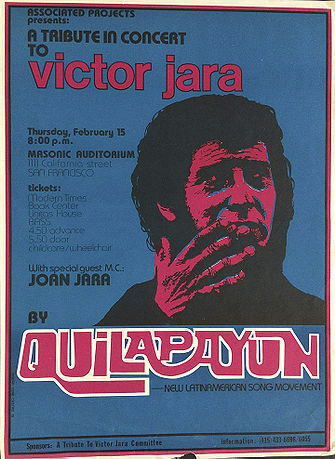 Music was the life and sustenance of the solidarity movement, bringing Chileans and allies together to celebrate Chilean culture and resist the Dictatorship. 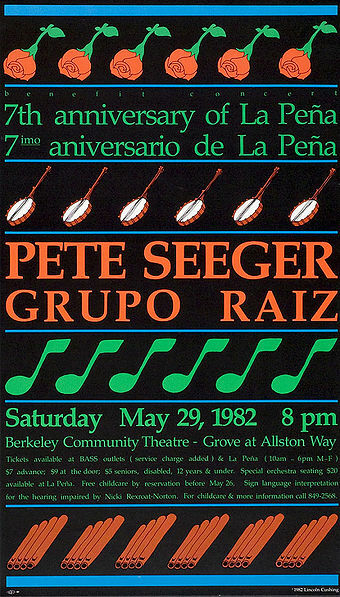 El Grupo Raíz, the “house band” at La Peña formed itself in Berkeley in 1980 after group members’ experiences of imprisonment in Chile in the ’70s. (13) The group was originally comprised of Rafael Manriquez, Quique Cruz, Fernando Feña Torres, Ellen Moore, and Denis Schmit. Hector Sagado and Elizabeth Lichi Fuentes joined a year later. (14) Ellen Moore, the only North American in el Grupo, describes its purpose as a political project to spread awareness of the Dictatorship and to project Chilean music outside the country. (15) El Grupo met Pete Seeger at Winnipeg Folk Festival in 1980 and connected with his belief in music as a force for social justice. Ellen Moore remembers, “Quique asked if he would do a benefit for La Peña. He wrote back and said that he would, only if we performed with him.”(16) The joint benefit concert at the Berkeley Community Theater on the 7th Anniversary of La Peña kept the space open and thriving. Read about the New Song Movement, Nueva Canción, on La Peña’s website. 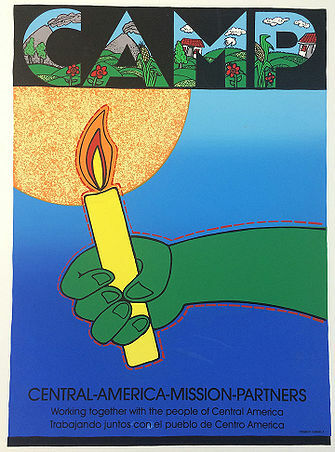 The Chilean solidarity movement dissipated in the late 1980s. As Latin American solidarity efforts shifted to the El Salvador and Nicaragua struggles, public attention on Chile lessened. Allies in the Chilean movement noted the particular challenge of the struggle, with no foreseeable end to the regime. Maintaining momentum against an indefinite oppressor proved difficult. Factionalism further complicated the continued fight, as Miristas and Unidad Popular supporters envisioned different post-dictatorship Chilean societies. “After 1990 [when the Pinochet regime was democratically removed from power], the community became less and less,” Nina Serrano recalls. (17) While La Peña’s emphasis has moved from radical Chilean politics to multicultural expression, La Peña remains an East Bay institution — a space for arts, politics, and culture. 2. Quique Cruz, “La Oración es la Expresión de un Juicio: A Profile of a Poet in Exile,” The Berkeley Undergraduate Journal 3, no. 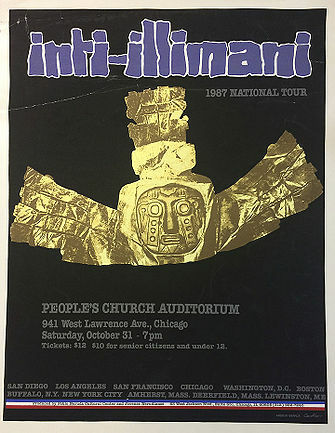 1 (1990). 3. Interview with Ellen Moore by author, March 16, 2015. 4. Interview with Nina Serrano by author, March 17, 2015. 5. Interview with Nina Serrano. 6. Interview with Ellen Moore. 8. Interview with Nina Serrano. 9. 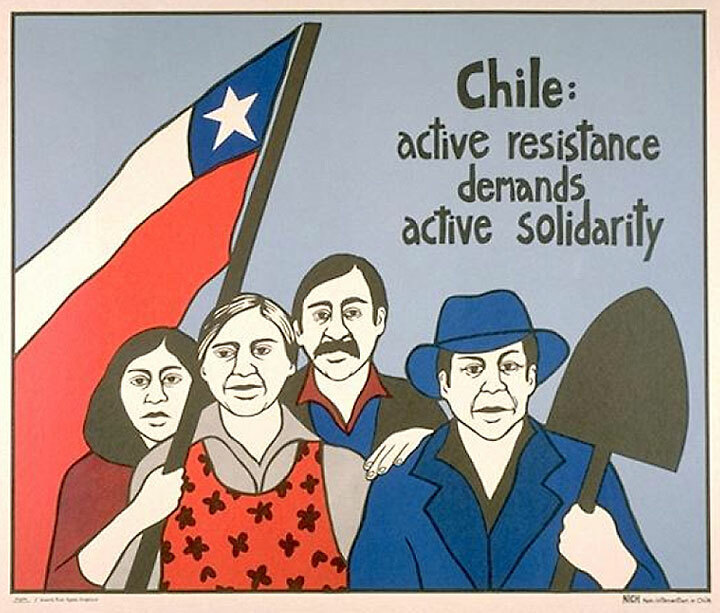 Margaret Power, “The U.S. Movement in Solidarity with Chile in the 1970s,” Latin American Perspectives 36, no. 6 (2008), 57. 10. Interview with Nina Serrano. 11. 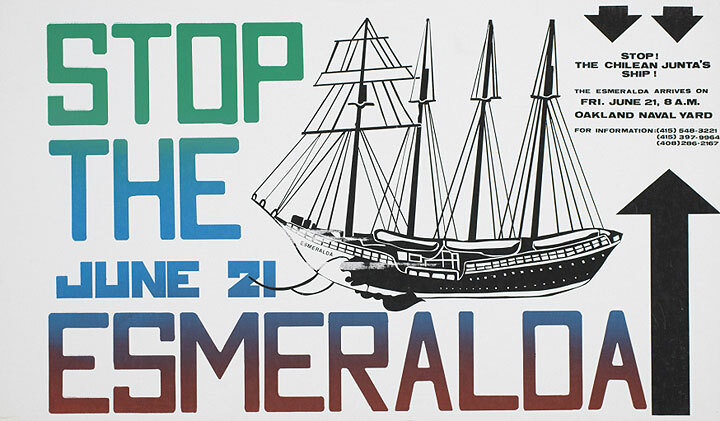 Margaret Power, The U.S. Movement in Solidarity with Chile in the 1970s (2008), 60. 12. Chile: Promise of Freedom biographies, The Freedom Archives. 13. Pauline Bartolone, “Chile’s 9/11,” Radio Project (2010). 14. Interview with Ellen Moore. 17. Interview with Nina Serrano.